Court-driven salmon recovery planning for the Columbia River has turned into a tired game of federal agencies seeing how little they can get away with doing, while most citizens wish for something new. The current process resembles the annual fall television season in which a crop of uninspired and unfunny programs premier with great fanfare, only to limply vanish a few weeks later. This 2014 edition was ordered by federal District Judge James Redden in one of his last acts before retiring. Judge Michael Simon is now up to bat. It will be interesting to see how long it takes him to share Redden's famously plainspoken discontent with agency foot dragging. 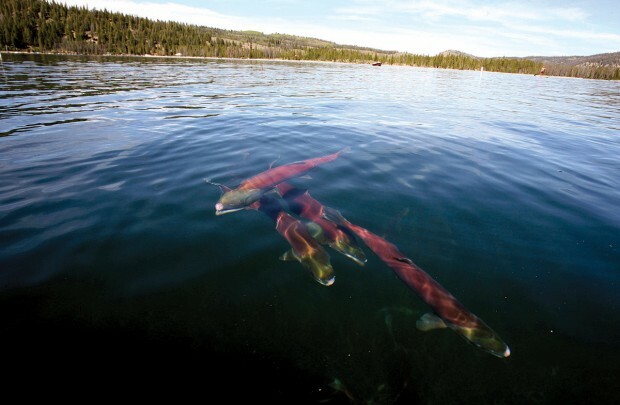 With a few exceptions, the BPA and its partners declare victory in their new bi-op -- not so much in terms of actually recovering endangered salmon runs, but in taking actions that have stabilized the situation. To their credit, this isn't inconsequential. Fifteen or 20 years ago, many who watch this topic wouldn't have been surprised if some of these runs slipped over the sad edge into extinction. What we get instead are vastly wordy plans that nibble around every conceivable salmon-survival factor -- from pike minnows to agricultural diking. These are things that need to be dealt with to one extent or another. For example, managing a population explosion among voracious salmon-eating cormorants appears likely to become an action item in the near future -- depending on the outcome of bird-protection lawsuits that are a near certainty. But still in short supply are steps designed to allow the Columbia to function more like a natural river and less like a manmade canal. Spilling more water past dams to mimic natural flows and speed young migrating salmon on their way is a highly successful strategy. This new plan cuts spill back to pre-2006 levels, despite requests from the State of Oregon to increase it in 2014. It's a dry year and the agencies undoubtedly want to keep water for other purposes. But species survival depends on consistent attention, not doing vital things just when it is most convenient.